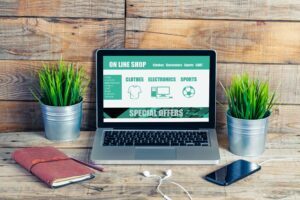 E-commerce is heavily reliant on visibility – without traffic to your website, you can’t hope to convert to sales. Search engine optimisation (SEO) is crucial in increasing the traffic of visitors to your website from search engines like Google, Bing and Yahoo! The higher you rank on these search engines, the more activity your website will have. An integral part of SEO is content. All the website descriptions, blogs and advert copies are all fruits of content strategy. It is important for every e-commerce to dedicate time and energy to improving their website content. Every e-commerce business has a specific target audience at whom they should aim their marketing efforts. Understanding the behaviour of your market makes it easier for you to create a content strategy that is both effective and convincing. Do your research on other brand’s content. Search for top ranking content related to your market and try to understand what drives readers to the page. Whether it’s news, press releases or on-page blogs, use them as inspiration and strive to make your content strategies even better. Educating potential customers about the features of your products is important. Informative content guides your prospects to finalising their purchases, especially when they’re pressed for time trying to find the right product or service. Product care guides, product comparisons and how-to articles are all examples of effective informational website content. Many e-commerce websites just write down a long list of product features and leave it at that. Reading product descriptions is part of the buying process for most customers. Write engaging copy with your ideal customer in mind. Instead of just placing your product’s features, include their benefits too. Include ratings, reviews, the number of products sold and anything else that will convince your customer to purchase your product. Guest posting on relevant blogs is another great way to get more traffic to your website. This involves writing content that you’ll post on a website that is connected to your brand, service or industry. The links that you use on your guest blogs are helpful for targeted referral traffic and help drive customers to your e-commerce site. Having your own blog section is valuable for your website. On-page, blogs bring a lot of traffic to your page, especially if you insert keywords that are relevant to your market. For instance, if you are selling car seats to Australian car owners, writing a blog about car seat maintenance with a ‘car seats Australia’ keyword will gain you more traffic. SEOServices.com.au is a team of experts who are committed to helping your business succeed. We are also an SEO reseller company that lets you build your client base by creating and executing the SEO strategies for you. To learn more about what we do, feel free to browse our website or contact us today.